With the support of New World Churton Park, Easyswim Swim School offered free lessons in aquatic education to more than 450 babies and their parents in Wellington communities. These lessons enabled young children and their parents to increase their confidence in water whilst beginning a positive journey with aquatics. Easyswim is currently seeking sponsorship to run the free babies programme again this year. The free lessons initiative contributed to Easyswim Swim School receiving the Swim School Promotion Award from the New Zealand Swim Coaches and Teaches Association at the recent awards dinner and conference in Christchurch. 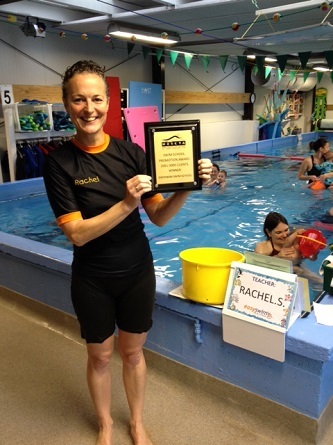 Easyswim Swim School is a Gold Quality Swim School and this year was awarded a Quality Swim School recognition award for great contribution in their communities. Todd Morton also received an individual award from Swimming New Zealand at their annual awards earlier in 2017.